What does a Soundbar do for your TV? 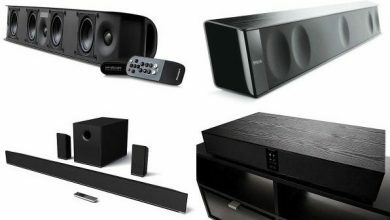 Sound bars are important for TVs nowadays as the flat screen HD TV provides the best TV quality of picture and visuals but the speakers of these TVs are unable to deliver good sound quality. Because the built-in speakers are very small and have very low power and in fact, the direction of the speakers is also wrong. It completely destroys your movie or TV experience. I mean you are going to watch a movie on a TV with good picture quality but the poor sound it will definitely ruin your day and you will hate it. But thankfully a good sound bar will definitely save your day. A good soundbar with your TV is a dream come true. 1 What does a Soundbar do for your TV? Soundbars are the smaller compact version of the speakers which gives you the effect of the home theatre and you will definitely love it. 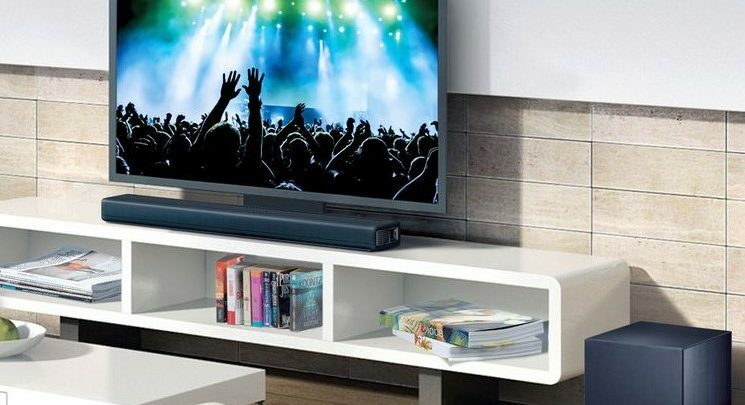 Soundbars for Tv, give the effect of complete music system in your home and occupy lesser space than the big heavy home theatres and looks good aesthetically and also are less expensive. In order to explain better today’s question, What does a Soundbar do for your TV? Let me explain the advantages and benefits of Soundbars for home TVs. Soundbars are the blessing of technology as they provide with the maximum sound experience to your TV watching. The installation of the soundbar is as easy as child play. You just need a cable with which you connect the TV with the sound and of course, you need a power supply too. The power with which the sound bars gives you the ultimate music experience is too high and you will enjoy the perfect music quality and it produces high power which will at the end increase the loudness and you will love the experience. It requires lesser cables just one cable for the power supply which requires the voltage of 220Volts. You need a lot of wires for other speaker system but they need a very low number of wires. Many sound bars are equipped with the Blue tooth availability as you can connect it not only with your TV but also with your mobile phones, Mp3, and other music devices. In short, they are equipped with the best ever enhancements for music. This is the best and most important feature of the soundbar is the quality of sound. They provide the best sound experience as the bass is quite very deep and you have to work hard on this thing while working but thankfully the sound bars have solved the problem as that give you the best sound quality with the deeper bass and you can distinguish the high low and medium frequencies quite easily. These speakers are quite low in price as compared to the higher priced speakers present in the market. They fit into the budget easily and very economical in its usage. And for me, these are highly recommended. These speakers are very precise in their action The engineering used in these speakers is very much good and up to the mark and you can produce the ultimately best experience while working on these devices. I am working women but I am a lot social. I love to talk about ideas fashion plans and love new technology. As I told you I am very social I used to attend and manage a lot of parties. My friends usually love my parties. I also enjoy their company. Recently, I have bought a new TV and I liked it too much. As I am a social animal I decided to show this television to my friends but I am very disappointed by the fact the quality of my TV is super Fine as far as the picture is the concern but the sound quality is so poor. There was a kitty party I organized at my home for my friends but I was a lot tensed about the TV so I talked to my younger son about it. He suggested to me that I should go for buying a Soundbar for my TV. Initially, I hated the plan then I thought that I should give it a try and that changed my mind totally. Because after the attachment of the sound bars to my TV my boring TV has converted to an ultimate sound box. The sound quality is too awesome and my party went super fine. I truly recommend the soundbars to the TV as without the sound bars your TV will be so boring and not cool. You cannot enjoy your movies and music, in fact, your TV will be dull So If you are an audiophile go and buy a sound bar for your TV. 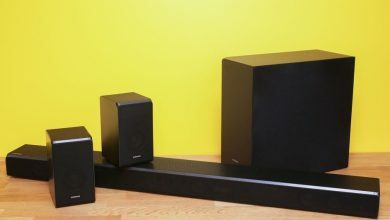 What does a Subwoofer do with a Soundbar? How to Turn Car Speakers into Home Speakers? 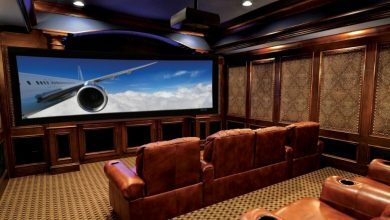 What to Look for When Buying a Home Theater System?